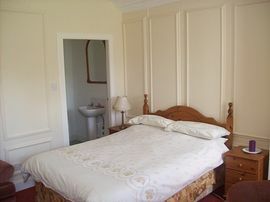 We offer 40 comfortable en-suite double rooms on a Bed and Breakfast basis. This is great value accommodation set in lovely gardens. We are situated on the main bus routes into Edinburgh city centre and only three minutes drive from the A1 motorway. 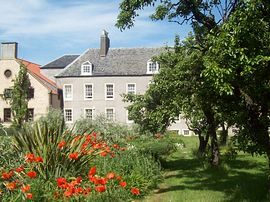 If arriving by train, Cockenzie House Bed and Breakfast is a five minute taxi ride from Prestonpans Railway Station. The perfect location whether it's business or pleasure. 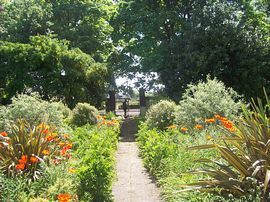 A warm welcome awaits you at Cockenzie House! If you are arriving by car then leave the A1 at the A198 exit then turn onto the B6371 for Cockenzie. At the first roundabout go straight ahead then at the next roundabout take the first exit for Cockenzie. You will see Cockenzie House bed & breakfast right in front of you when you reach the T-junction. Our car park entrance is at the rear of the building. We have an excellent bus service running past our front door. The number 26 or 129 bus from Edinburgh city centre stops right outside Cockenzie House bed & breakfast. 30/40 minute journey time and costs £1.30. 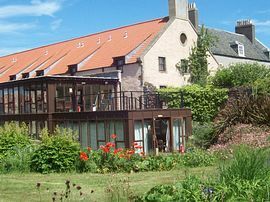 The nearest train station to Cockenzie House bed & breakfast is Prestonpans. Jump on the train from Edinburgh Waverley train station, only 14 miles as the crow flies. 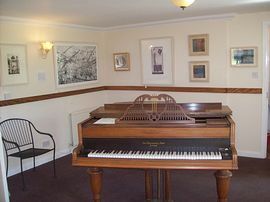 From £35 per person per night except in August which is from £50 per person per night.